First, mix the butter with the flour and sugar, until it looks like crumbs. Then, mix the other ingredients until it gets even, without overmixing. Spread on the bottom and sides of a removable bottomed pan. Pre-bake it for 15 minutes in medium heat, and set aside. First, mix the butter and sugar in a food mixer until it gets white. Then, add eggs until it gets dense. Add cashew nut flour and mix it at low speed, add wheat flour and mix it until it gets thick. 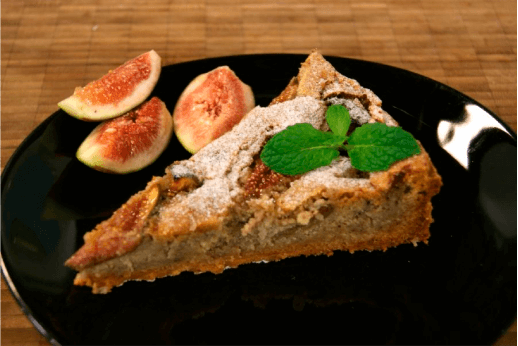 Then, put this cream in the pan with the pre-baked dough spreading fresh figs in it. Bake it for 30 minutes until the pie gets golden. Serve it warm with yogurt ice cream! Put the base for the salad on a plate spreading the argula leaves. Distribute tomatoes and mussarela over the base. 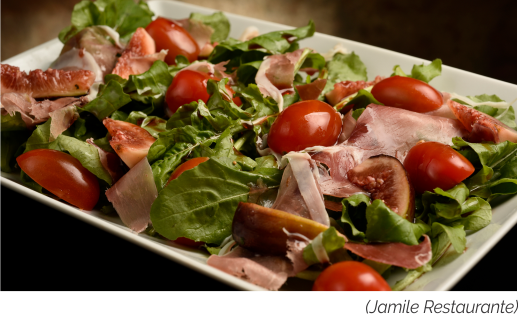 Top with slices of ham and chopped figs. Season and serve fresh. Cut the figs into four pieces and put them on a pan. Spread olive oil and black pepper. Bake the figs rapidly. Then, toast the bread. Rub garlic and then tomato cut in half. 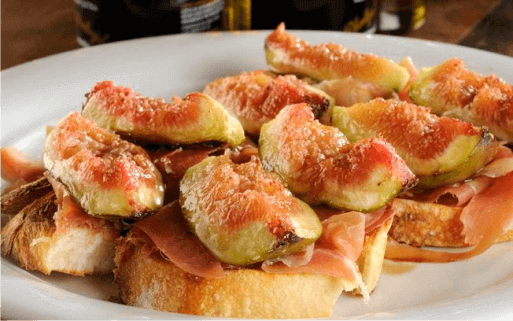 Spread serrano ham, put a slice of fig on every quadrant and spread balsamic caramel. Cut into four parts and serve. In a bowl, melt the sugar and add Port Wine. Wait for the alcohol to evaporate, and then add water and peeled oranges. Let it boil until it looks like a thin wire. 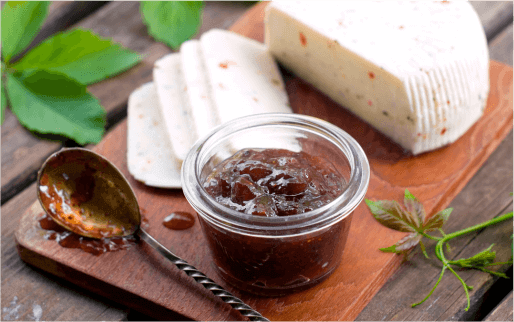 Mix caramel to the balsamic vinegar. Reserve it outside the refrigerator. 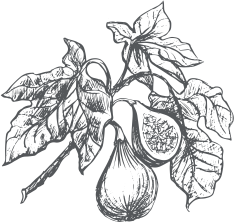 Put the figs, sugar and lemon juice in a bowl, add water and boil it until it gets soft. Mix it in a blender or food mixer until it gets even. All set, now just keep it in the refrigerator.